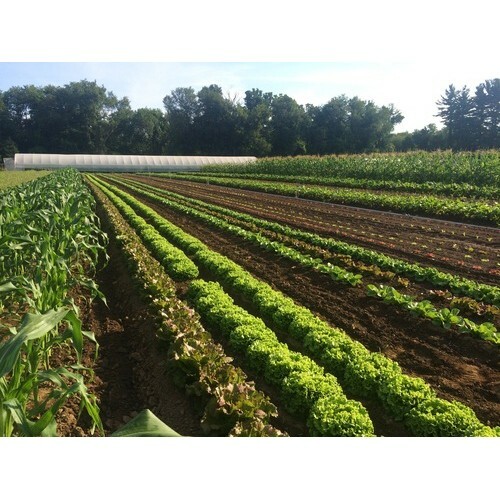 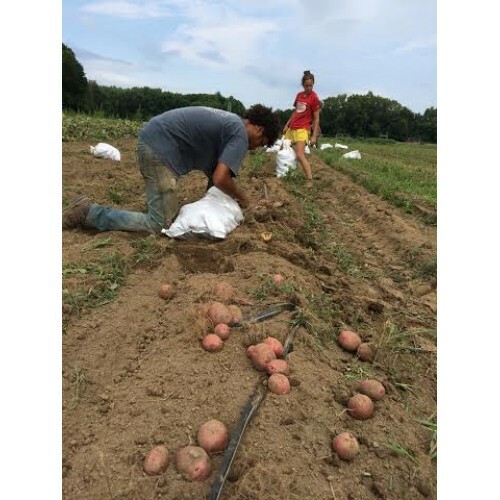 Certified Naturally Grown produce (fruits and vegetables) on 15 acres in the middle of Vassar College (though we are not affiliated with them). 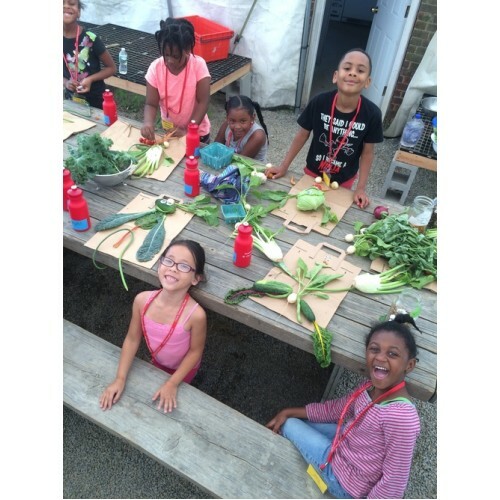 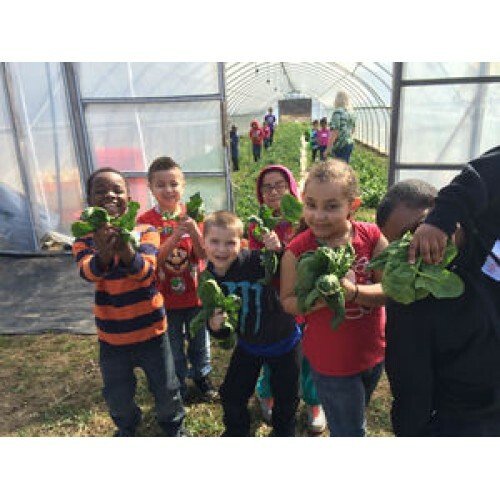 500 CSA members, outreach and education programs that serve over 6,000 individuals of all ages through farm visits, cooking classes, nutritional education, gardening, etc. We donate 20% of our produce to families in need as well as 5 emergency food relief organizations. 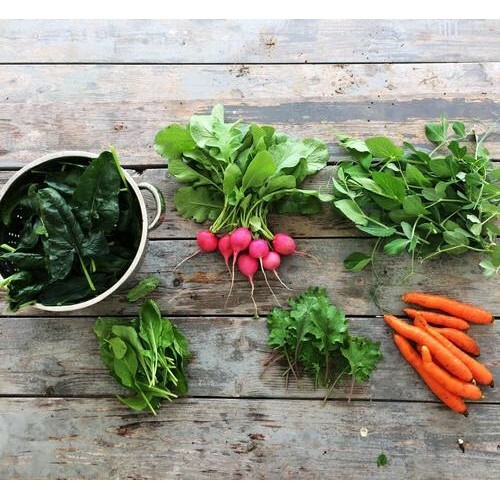 Products: 8 varieties of lettuce, collard greens, arugala, bok choy, yakata na, red radicchio, sugar loaf radicchio, chard, carrots, kohlrabi, leeks, 8 varieties of heirloom tomatoes, 6 varieties of hot and sweet peppers, 3 varieties of eggplant, 3 varieties of potatoes, broccoli, cauliflower, sugar snap peas, string beans, edamame, 3 varieties of beets, scarlet and white turnips, daikon, rutabega, 4 varieties of radishes, strawberries, blueberries, 3 varieties of watermelon, canteloupe, raspberries, flowers, onions, garlic, popcorn, zucchini, yellow squash, acorn squash, delicato, butternut sqash, dill, basil, parsley, mint, sorrel, rosemary, chives, thyme, cilantro.